Unless you live in Death Valley, you really don't hear much any more about cars overheating. That's because cooling systems in vehicles have been much improved. That doesn't mean you can't overheat your vehicle engine, though. Without proper preventive maintenance, you could still find yourself on the side of the road in Columbus waiting for your vehicle engine to cool down. When you service your cooling system at Tuffy Tire & Auto Service Columbus, your technician will check the condition of the coolant. It can become corrosive over time, which can damage a radiator — leading to an overheated engine. Changing the coolant periodically is good vehicle care. Your vehicle owner's manual can give you guidelines on how often to replace it. If your engine overheated, your friendly and knowledgeable service advisor will also check your coolant system for leaks. Check the vehicle radiator for cracks and the radiator hoses for leaks. He'll also check your water pump. They don't need to be replaced on a regular schedule, but they do need checked regularly. They can and do wear out. The water pump is a critical component of your vehicle cooling system. It pumps the coolant to keep it circulating through the engine. 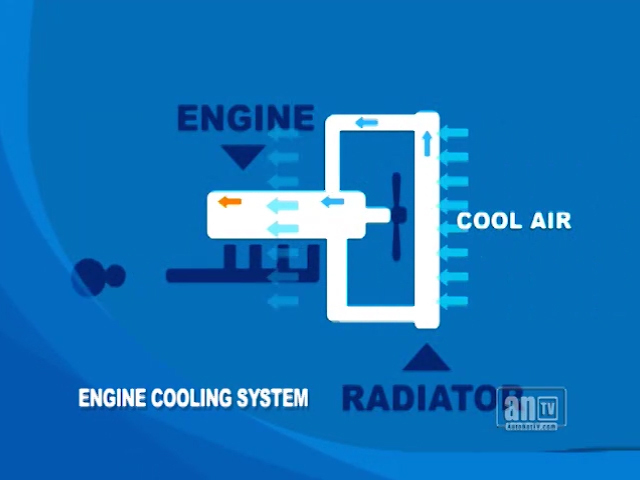 The coolant is cooled in the radiator, then it travels through the engine, where it absorbs heat, then it returns to the radiator, where it releases the heat. And so on. But a water pump is something of a misnomer. The fluid pumped through your vehicle cooling system is not just water. It also contains coolant, which is actually poisonous. You should never consider your radiator as an emergency water supply. There are many types of coolant. It varies from vehicle to vehicle, and using the wrong kind could damage your engine. Your service advisor will know which kind your vehicle's manufacturer recommends. The team of automotive professionals at Tuffy Tire & Auto Service Columbus is always a good source for auto advice. We've been providing quality automotive services at our convenient location in Columbus for years. At Tuffy Tire & Auto Service Columbus, we help you keep your cool which will keep you in the driving lane.